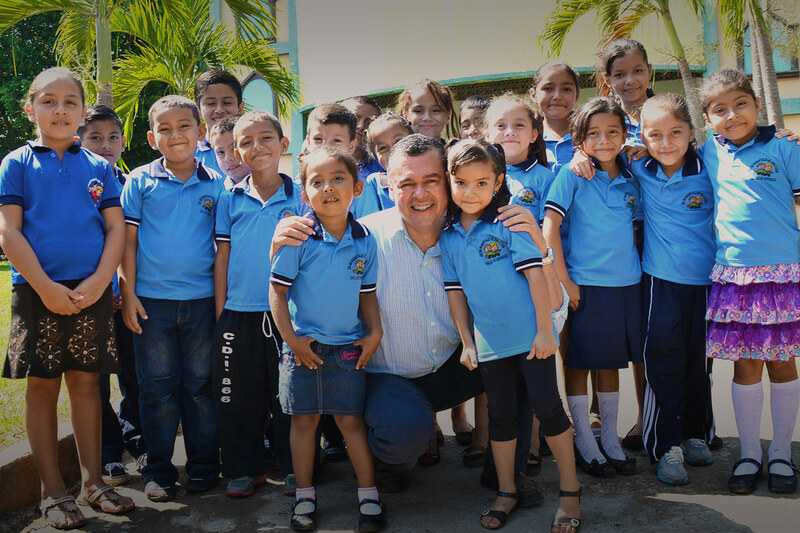 Compassion started working in El Salvador in 1977. Today, there are over 60,000 children registered in our programs through 275 church partners. Dear Sponsor, Greetings from El Salvador. It is my prayer that God greatly blesses your life and family. My name is Guillermo Muñoz. God blessed me in 2004, when I became the country director of this wonderful ministry. I’m married and we have two wonderful kids. Compassion began working in El Salvador in 1977. Greetings from El Salvador. It is my prayer that God greatly blesses your life and family. My name is Guillermo Muñoz. God blessed me in 2004, when I became the country director of this wonderful ministry. I’m married and we have two wonderful kids. Compassion began working in El Salvador in 1977. Compassion began working in El Salvador in 1977. We work aside 275 church partners, serving over 59,000 children. In my daily work, one of the greatest blessings I get is to know that everything we do is focused on the most marginalised, the most forgotten, and the most underestimated by our society: children living in poverty. Thanks for joining us in our fight against poverty and hopelessness. Poverty hurts so deeply, and I know sponsorship works because children receive encouragement, vision, healthy food and medical treatment, opportunities to learn different vocational trainings, protection and the love of God. 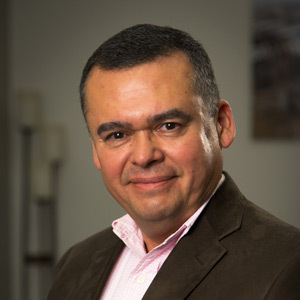 Throughout its history, El Salvador has gone through decades of militarism and civil war, and currently we are living in a post-war period, resulting in a greater increase of poverty rate. i.e. 45.3 per cent of the Salvadoran population lives in poverty (ECLAC, 2013). As a consequence, “21 per cent of children who are five years old or less suffer stunted growth; 38 per cent of children between six and 24 months old suffer from anaemia” according to a publication by the World Bank. Our country has a low quality public education system and low attendance due to violence. Also, the report says, “El Salvador has 88.7% of its territory as an area of risk of natural disaster, and the highest percentage rate of population at risk is 95.4% (floods, mudslides, earthquakes, volcano eruptions, tropical storms and winds).” Added to that, our children live in one of the most violent countries in the world. 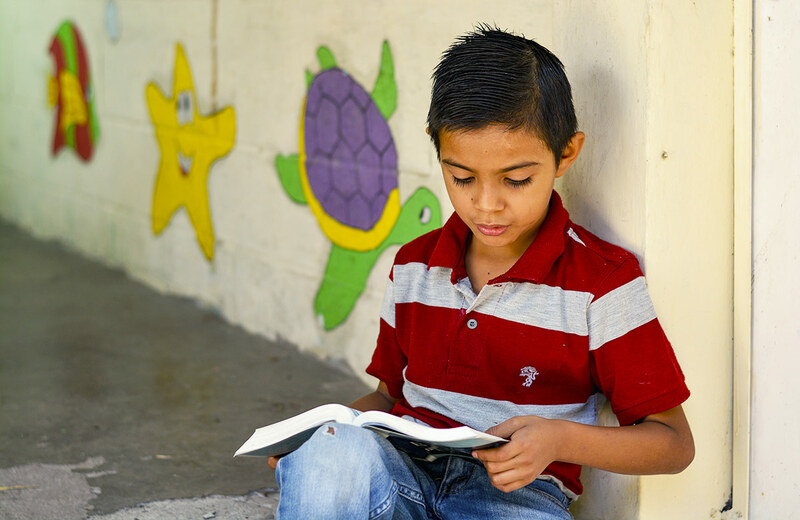 In El Salvador, poverty tells our children: there is no hope, there is no opportunity to have access to education. They become targets for the gangs, and children are kept away from their identity in Christ. In the middle of these struggles, we find the local church has the vision, passion, heart and unlimited love that only come from God. Our vision is to continue providing children the opportunity to rise above their circumstances and become all God has created them to be, providing different programs focused on prevention of involvement in violence activities, discovering their potential skills and talents and opening opportunities for better cognitive development through academic reinforcement, workshops and non-formal education. We do believe in a better future where children can overcome poverty. We are planting in them the seeds of hope—and you are a part of this. Would you consider the loneliness of a child surrounded by a hopeless environment? I remember a 13-year-old boy and his sponsors (a married couple) who make him feel like family despite the long distance between them. Their kind, loving words in letters encourage and bring him hope. He doesn’t have siblings; his mom passed away and his dad is in prison. This boy now wants to be a civil engineer because his life was impacted through letters from his sponsors. Another example of transformational impact is one of our pastors who is so passionate and willing to work with the gangs by just sitting with them, sharing a meal, showing the love of Jesus and telling them that there is hope no matter who you are. Many gang members have surrendered their lives to Jesus and they send their children to the Compassion centre. Now this new generation will not be the same because they have hope confirming that this is worth it! They are building an eternal relationship with God. Talking about relationship, I would like to thank you for the connection you have with your sponsored child through letters. These letters are valuable for them because they feel loved, appreciated and encouraged by receiving your words. I want to express my deep gratitude for all the support we get from you. Your sponsored child receives the love of God through you. Thank YOU! We would like you to join our prayer: Heavenly Father, give us wisdom, strength and enough love to reach out and support those children who are suffering a lack of opportunities imposed by poverty. We pray for those threatened by violence. We also pray for a strong and committed Church that upholds the cause of children, and we pray for our sponsors who lovingly join the mission of releasing children from poverty in the precious name of Jesus. Dominic was only three years old when his mother abandoned him and his eight-month-old brother Diego, leaving them with their father and grandmother. Struggling to provide for Dominic and Diego, hope came through the local church. After hearing of the family’s struggle, Dominic was immediately enrolled in Compassion’s program. Since attending, Dominic has learnt to pray and his passion for talking to God steadily increased. “I pray for others, I always pray for my tutor and people in my project, my friends, my sponsor who writes to me, and God listens to me,” says Dominic. It is his faith, ever growing through the Compassion program, which has helped Dominic through the darkest moments of his life. Sadly, Dominic’s father was falsely imprisoned, leaving Rosa to care for Dominic and Diego by herself. 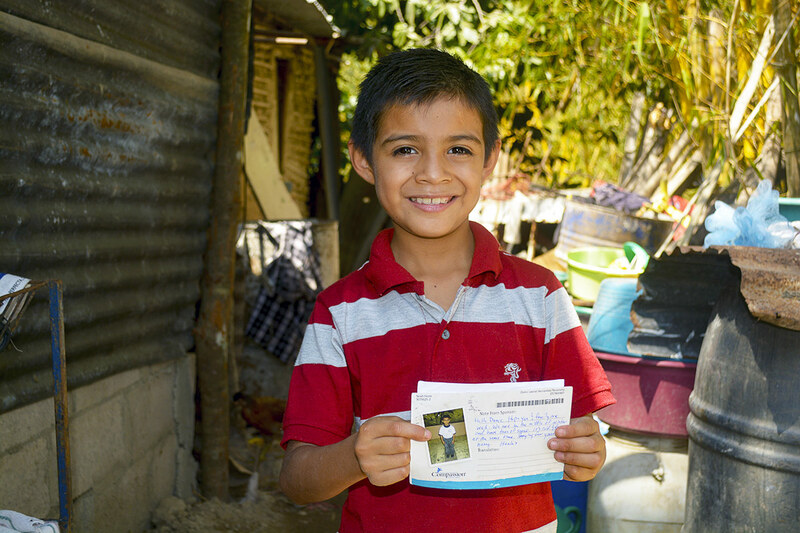 Compassion has helped to provide Dominic and Diego with the things they need to thrive in life. Since his father’s imprisonment, Dominic’s faith has only increased. The young boy prays for at least two hours every single day, often for his father to come home. Please pray for the parents of the children in Compassion’s programs. Pray they will commit to taking care of their children properly, that they will watch over them, and have the patient disposition to be involved in their development. Please also pray for provision for the parents who need to find jobs in order to sustain their homes. Please pray for Compassion El Salvador staff, Leticia and Lucia. Leticia has been experiencing a very difficult pregnancy and Lucia is currently undergoing chemotherapy for breast cancer. Please pray for God’s protection over them during their struggles. Please pray for Isaac (ES-0822); he has been having seizures. Please pray for the cause of these seizures to be discovered and treated in the hope that it will not becoming an ongoing problem. Please pray for Cristian’s mother (ES-0767); she has been experiencing nervous problems and panic attacks. Please pray for her to experience God’s peace to alleviate her anxiety. While millions of people around the world don’t have access to improved water sources, Compassion is at work to provide clean, safe drinking water for children in Compassion’s programs and their families. What Happens If You Can’t Afford To Celebrate Christmas? Christmas is the most joyful time of year when we celebrate the birth of our Saviour. But in a country like El Salvador, where one-third of the population lives in poverty, many cannot afford to celebrate Christmas with special food and gifts.